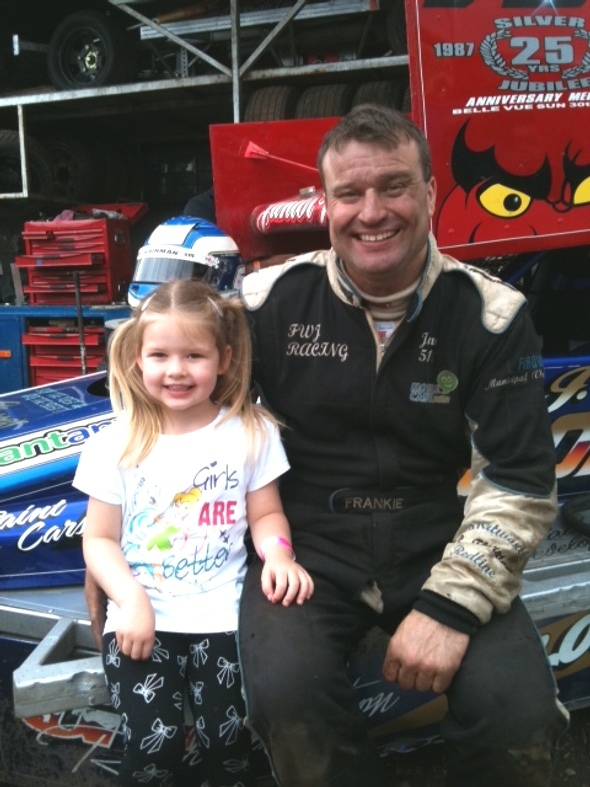 Hannah-Louise Pycroft with Frankie at the Euro weekend last year. 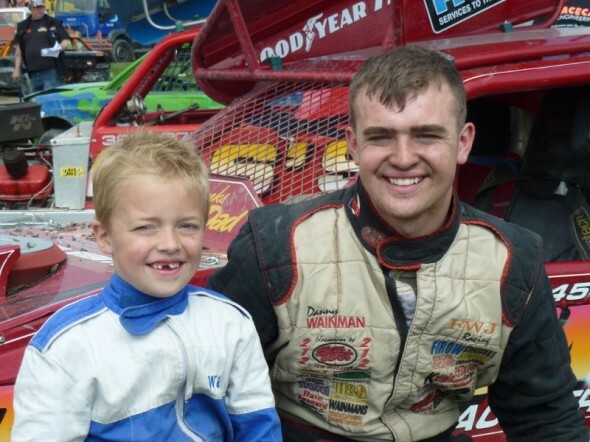 Iwan Hiddinga was only 3 when he travelled all the way from the Netherlands to Buxton for this photo at the Semi-Final a few years ago. 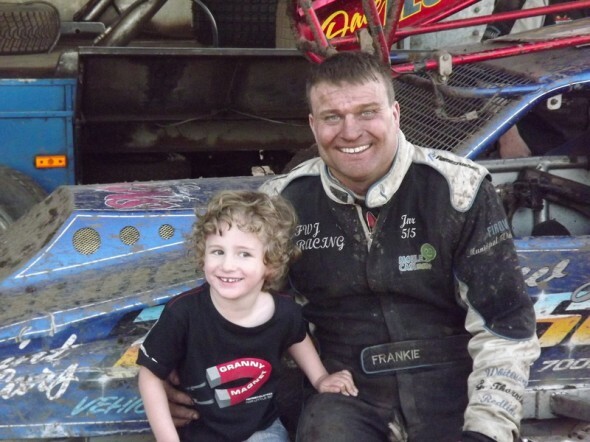 Two year old Michael Murphy, and his dad Dave, at Stoke last year after Frankie gave Michael his trophy. Wilco Terpstra at Blauwhuis with Danny. Wilco Terpstra with Frankie at Blauwhuis. Keaton Lombardo had his photo taken with Frankie. 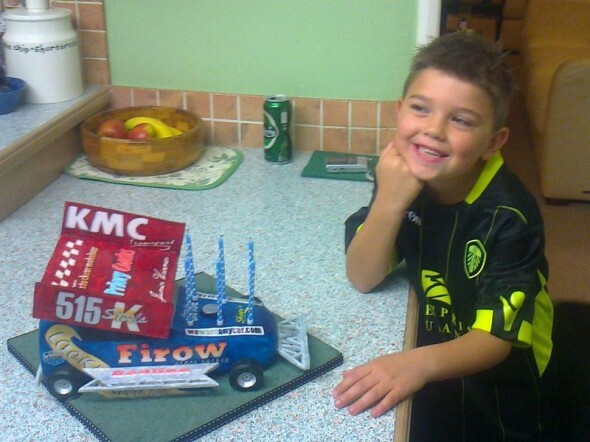 We love his ‘granny magnet’ T-shirt! 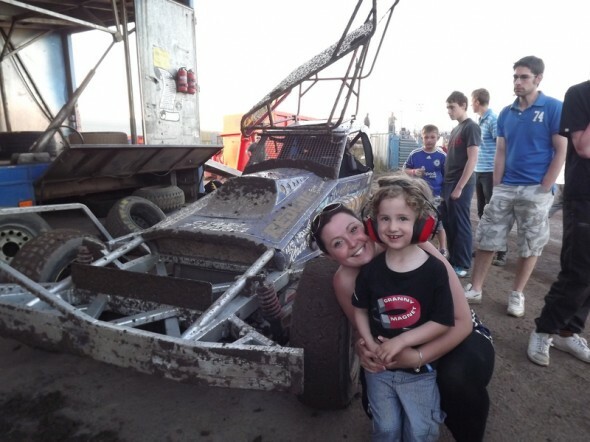 Keaton with his Auntie Dana. 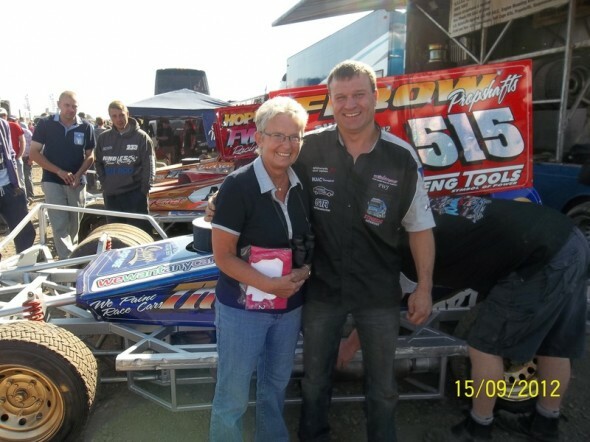 Dawn Fincham goes to most F1 meetings with her husband Roly. 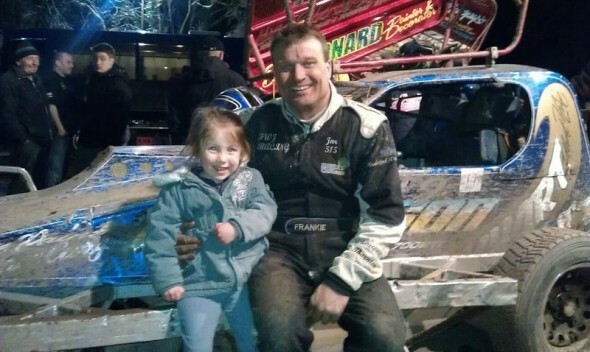 Lena Trevarthen age 3 with Frankie at Coventry. 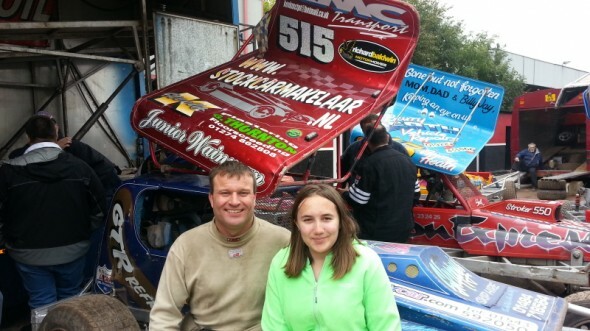 Lena’s dad races a Rebel, and her uncle races an F2. 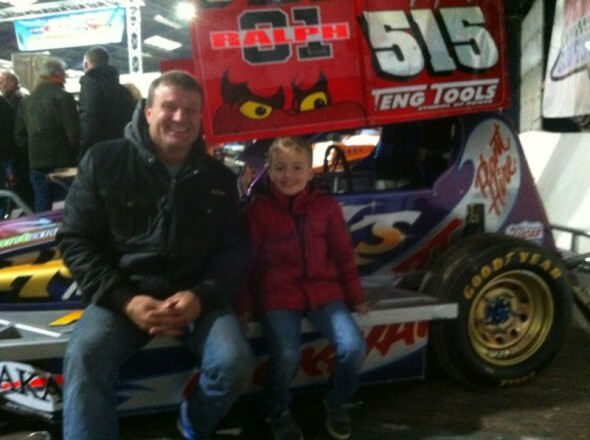 She says she wants a pink Ministox like Phoebe’s! 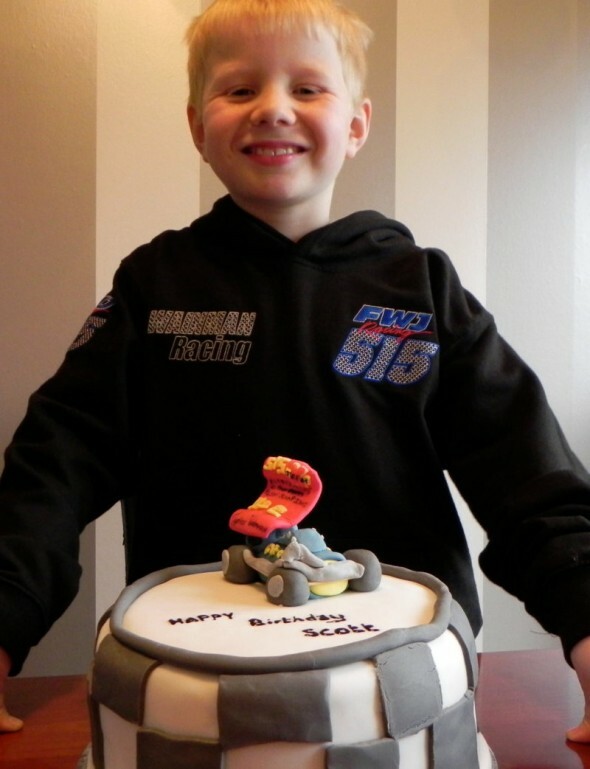 Harry Taylor and his birthday cake, made by his auntie. 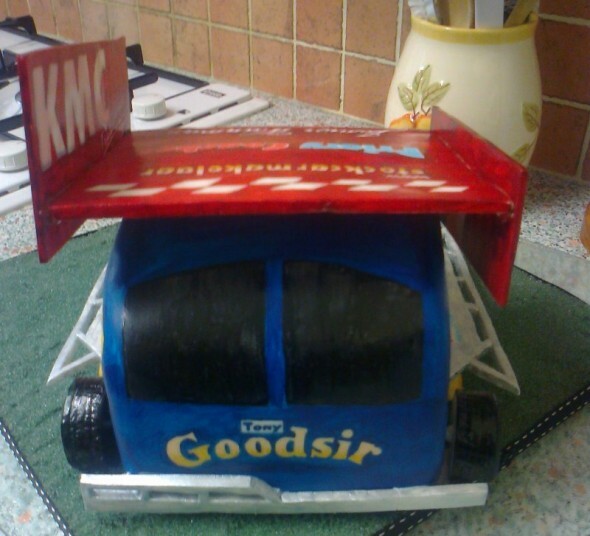 Rear view of Harry’s brilliant birthday cake. 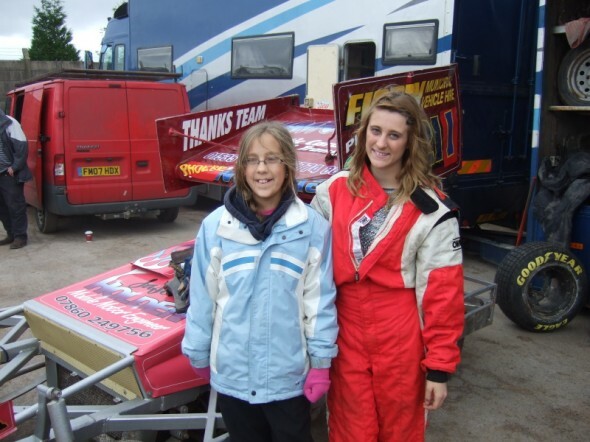 Amelia Aisthorpe with Phoebe at Belle Vue. 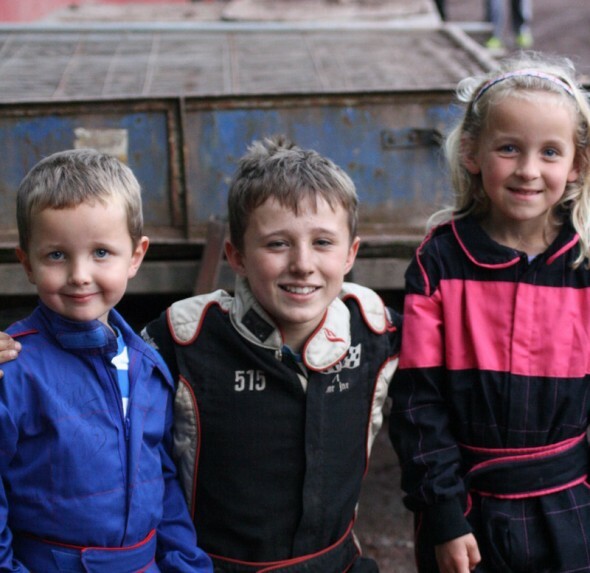 Amelia had to wait most of the season for this, due to school. 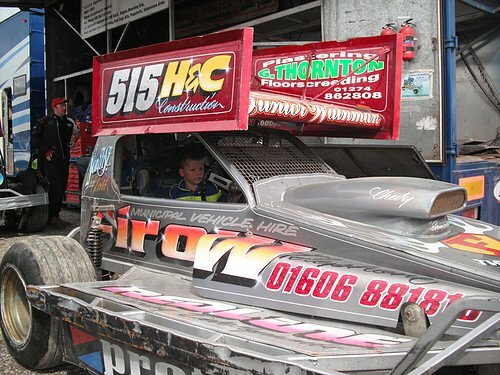 Joep Nooijen, age 5, at the 2012 World Cup in Venray. 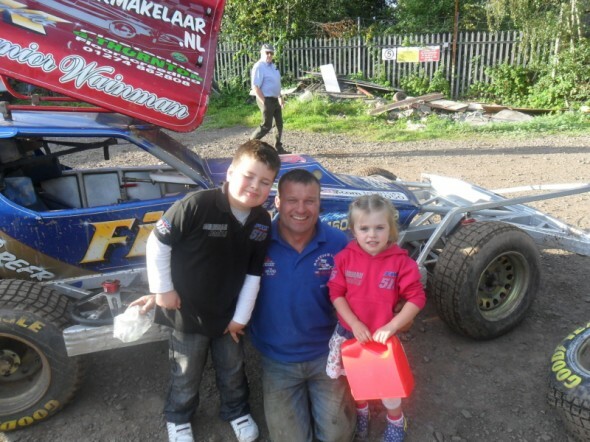 Ben (8) and Poppy (4) Crosby, at Coventry last year. 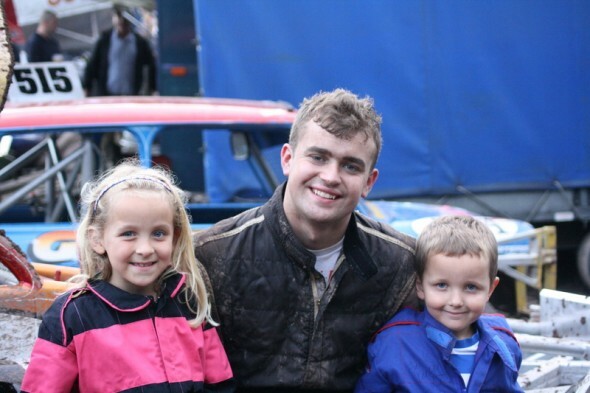 Ben loves the noise and racing, Poppy loves the social side and sitting in cars. 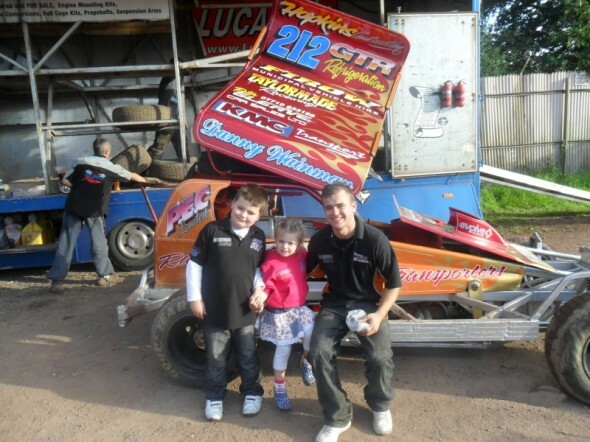 Ben and Poppy Crosby with Danny at Coventry. Poppy brought some home-made buns for us – they were delicious! 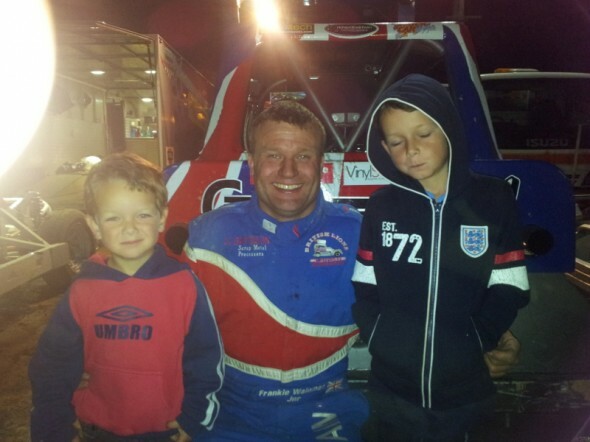 Seb and Marshall Gibbs with Frankie at Waikaraka Park, New Zealand. …. 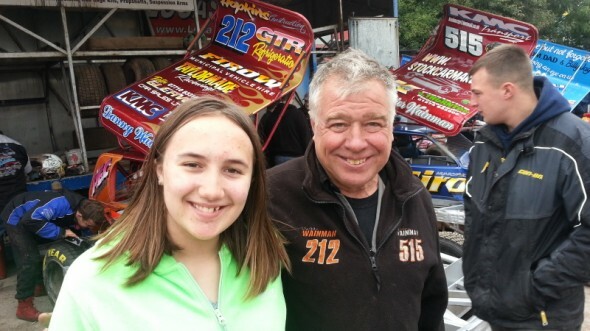 then she had a photo with Danny…. ..and finally, she had a picture with Frankie. 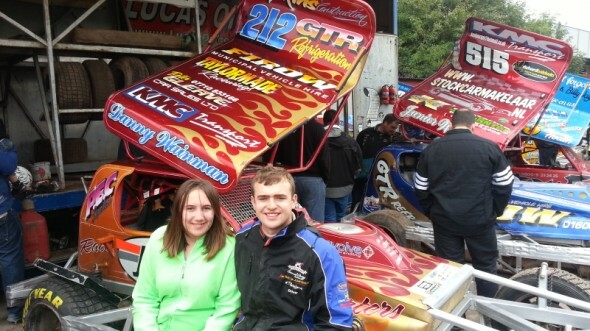 Kayleigh & Lewis Smith are mad Wainman fans, and after getting their photo with Frankie they decided they wanted the full set. 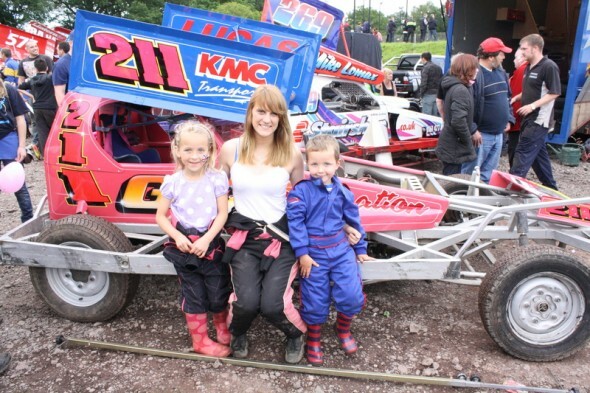 Lewis and Kayleigh Smith, with Frankie JJ at Coventry. 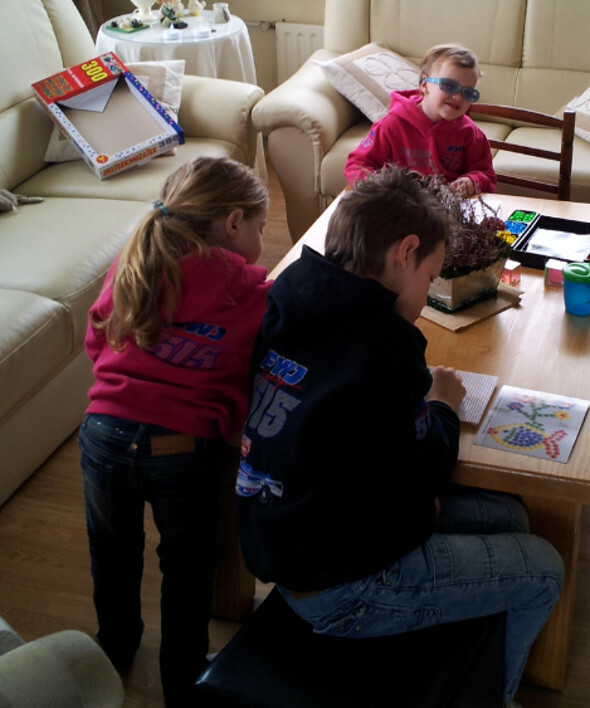 The Spigt family from The Netherlands in their Wainman hoodies. 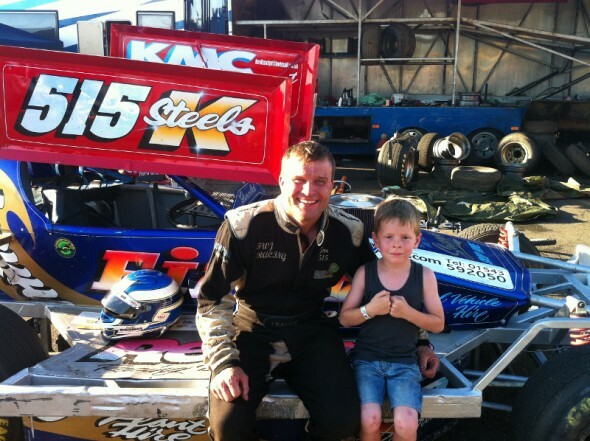 Wilco Terpstra at the Stock Car Show at Sneek in The Netherlands last month. 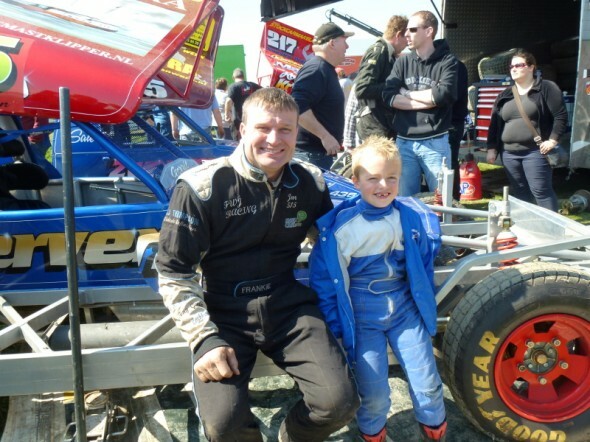 There will be another Featured Fans page later in the year. 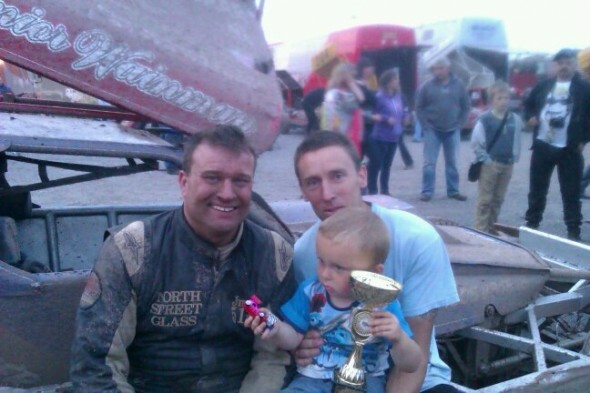 If you want to be on it, email us a photo of you with something Wainman-related.